A 36-hour prayer vigil prior to Easter Sunday service in order to be vigilant in asking the Lord to open people’s hearts to believe the gospel. 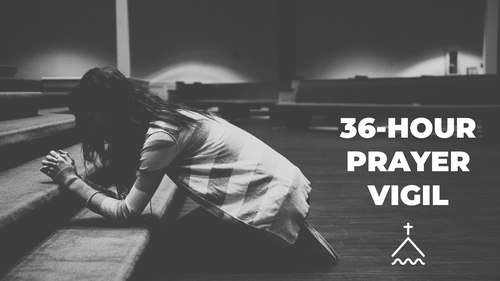 Sign-up for one hour of prayer alone or with a friend. If you have any questions or need help signing up for a time slot, please contact our Director of Pastoral Care Christine Mester at cmester@rivervalley.net.